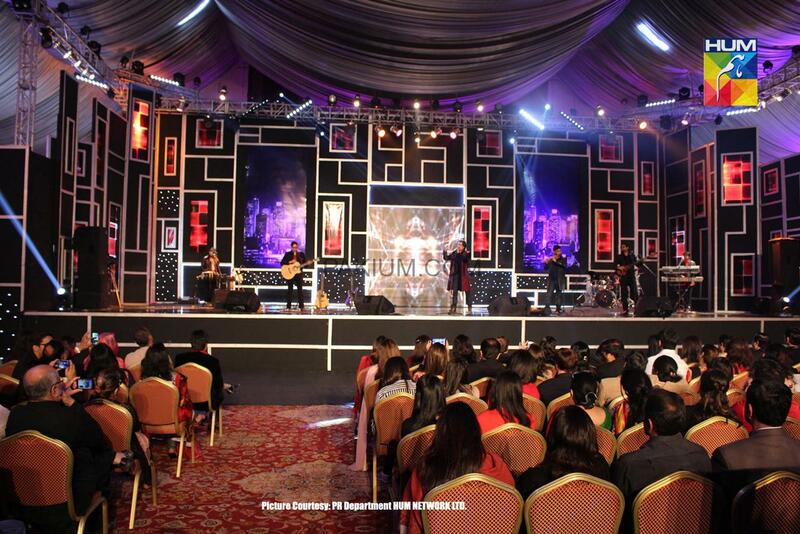 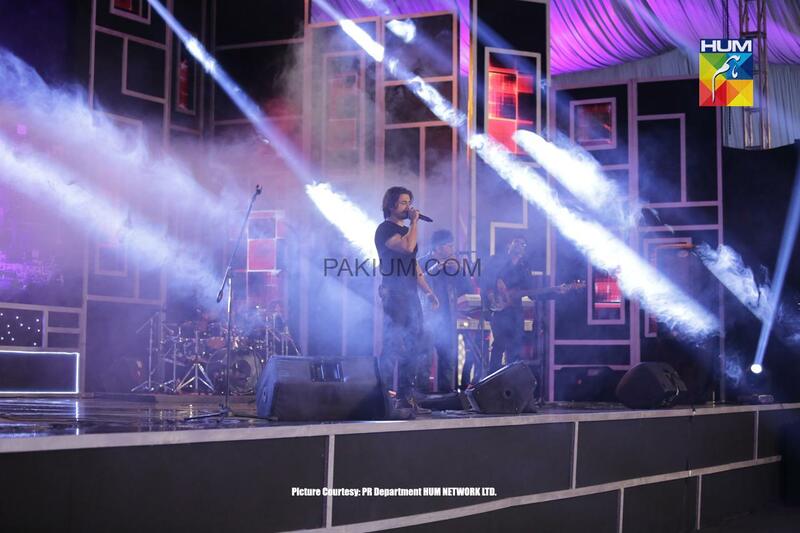 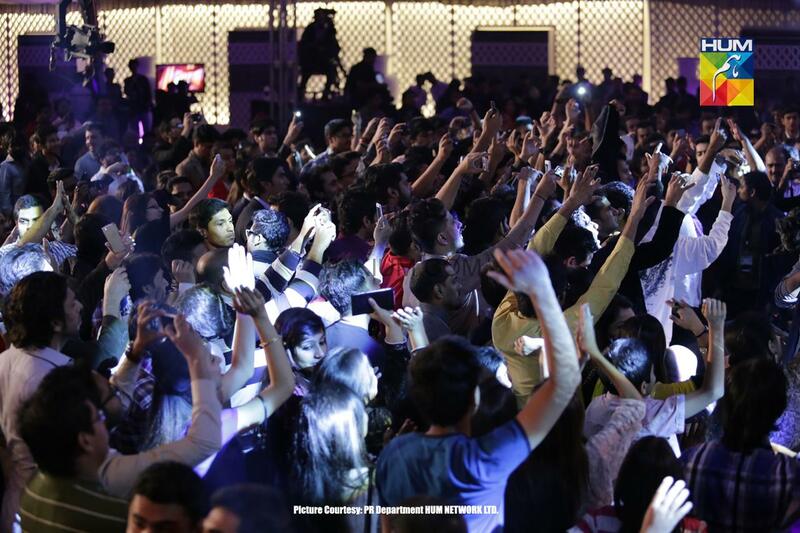 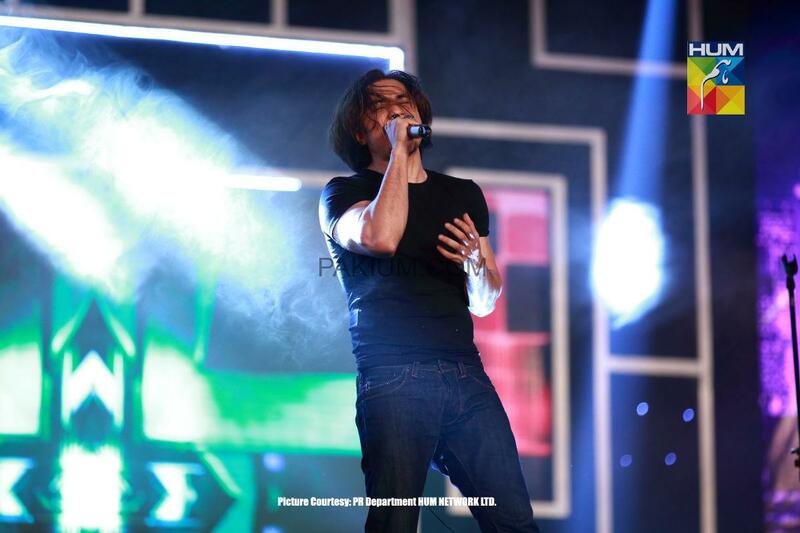 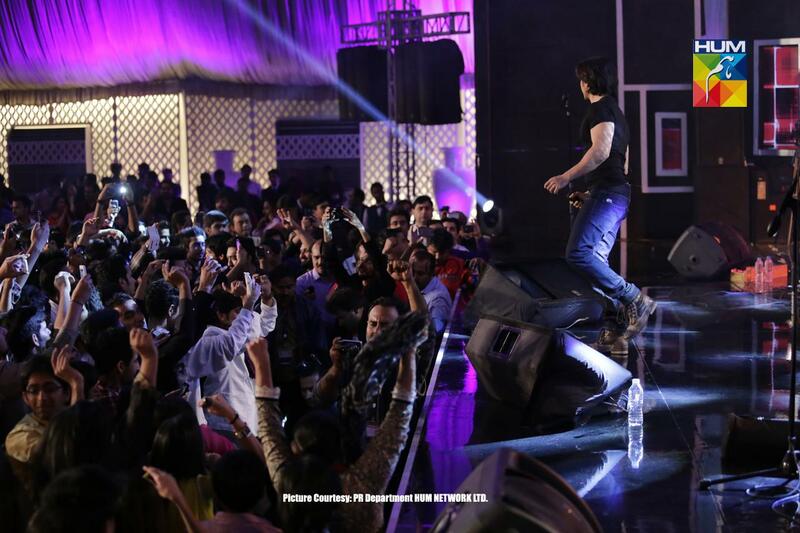 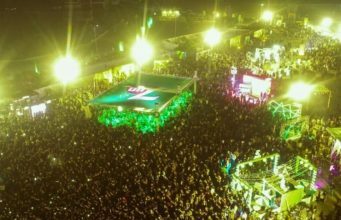 Karachi, February 1: An enthralling, packed performance by Ali Zafar was witnessed here yesterday at a local hotel, organized by HUM as part of their Valentine’s Day celebrations and programming. 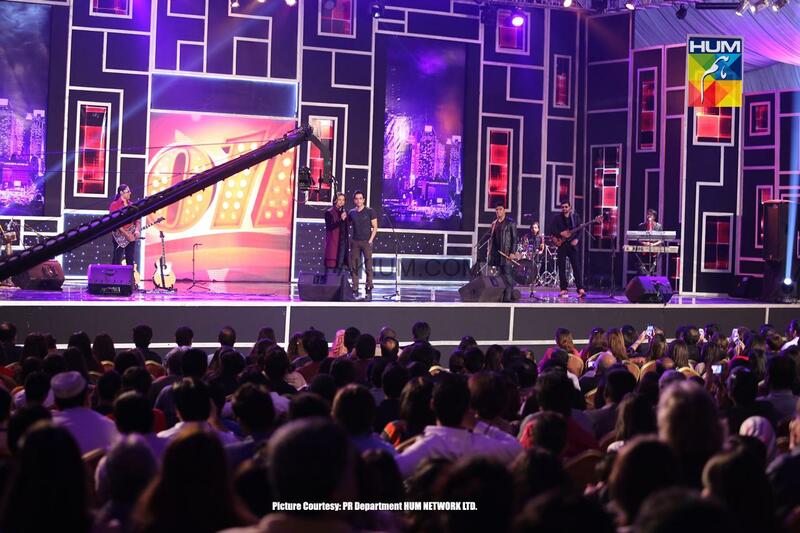 The set was creatively constructed with the theme colour red in focus, and 3 LCD screens within the set, displaying constantly changing graphics added to the ambience. 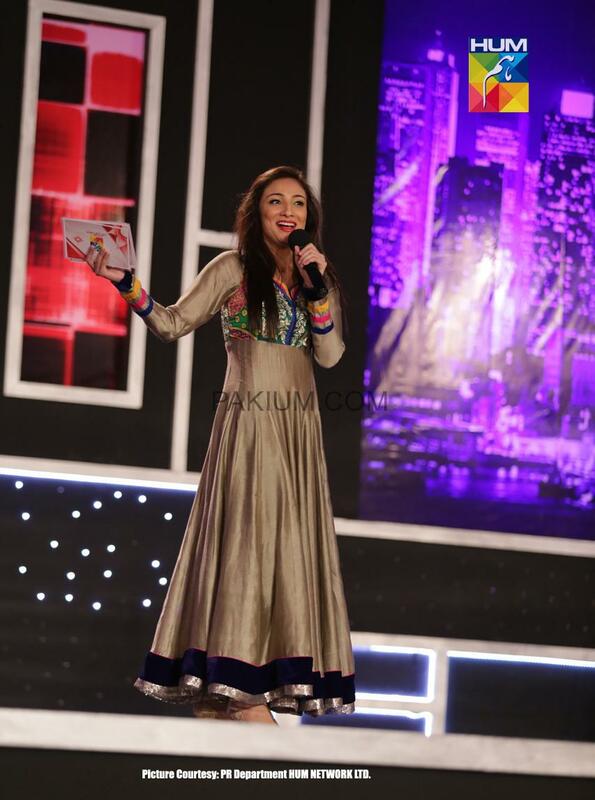 Anushay Ashraf hosted the evening in her lively style. 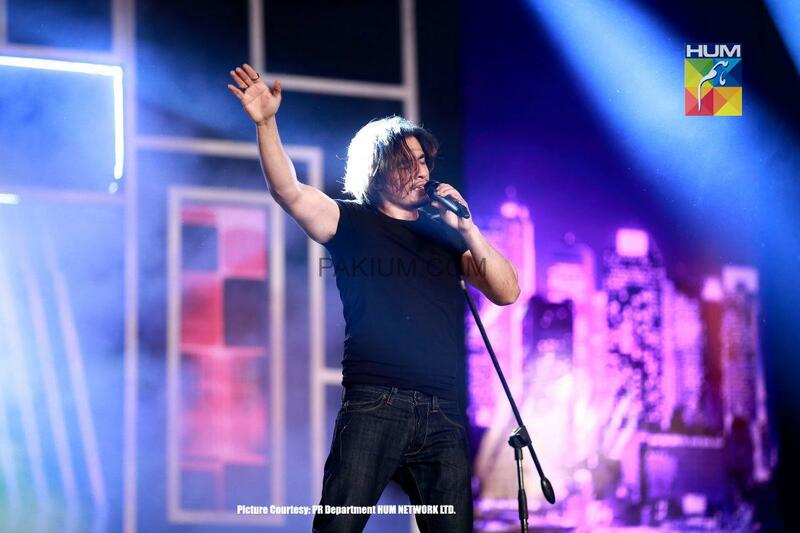 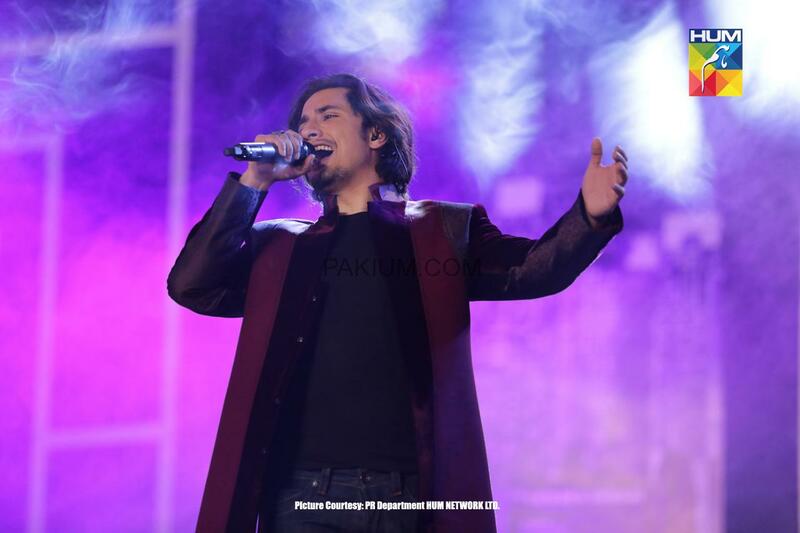 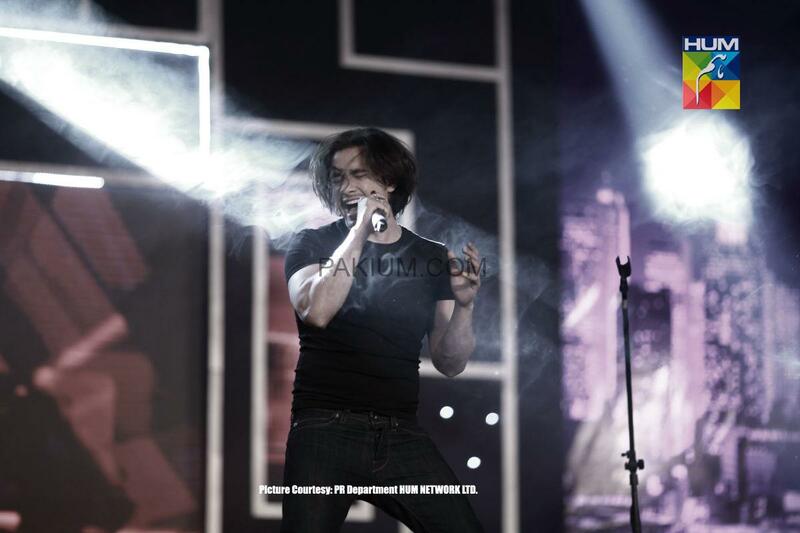 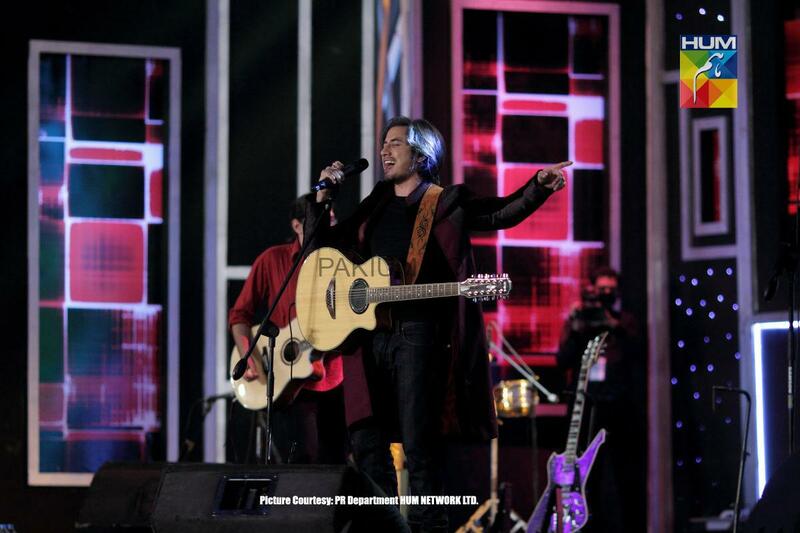 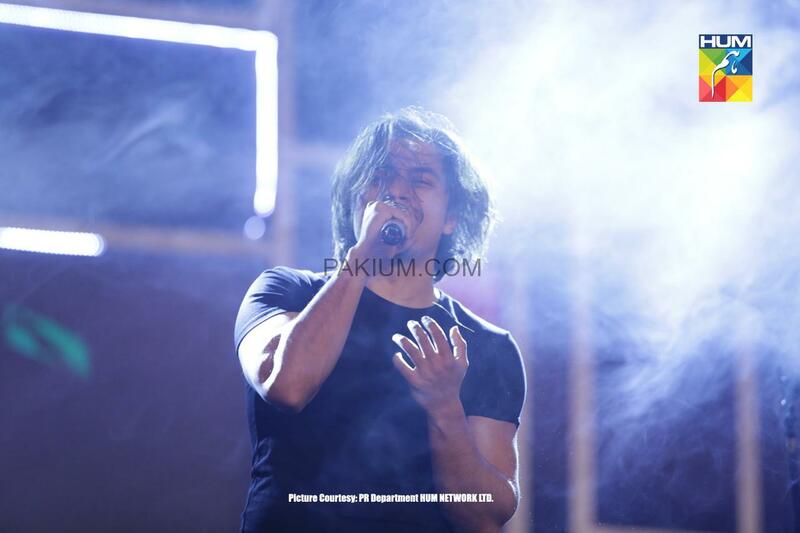 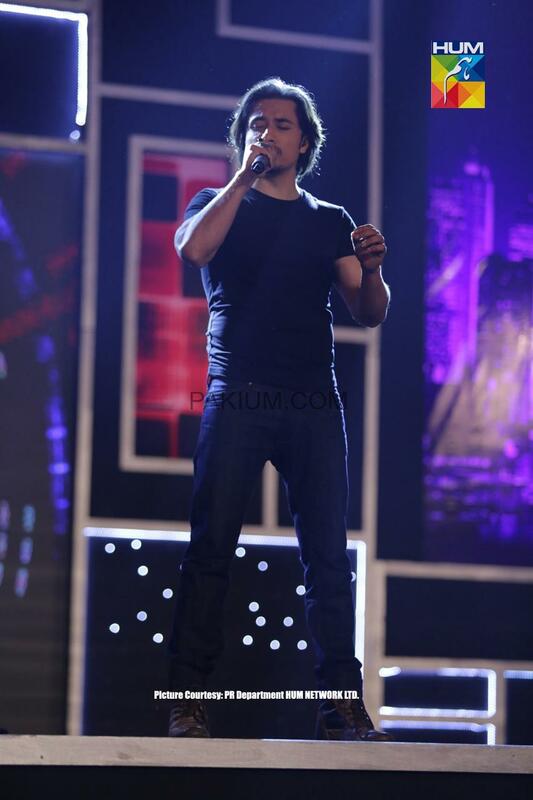 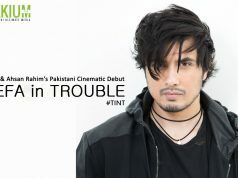 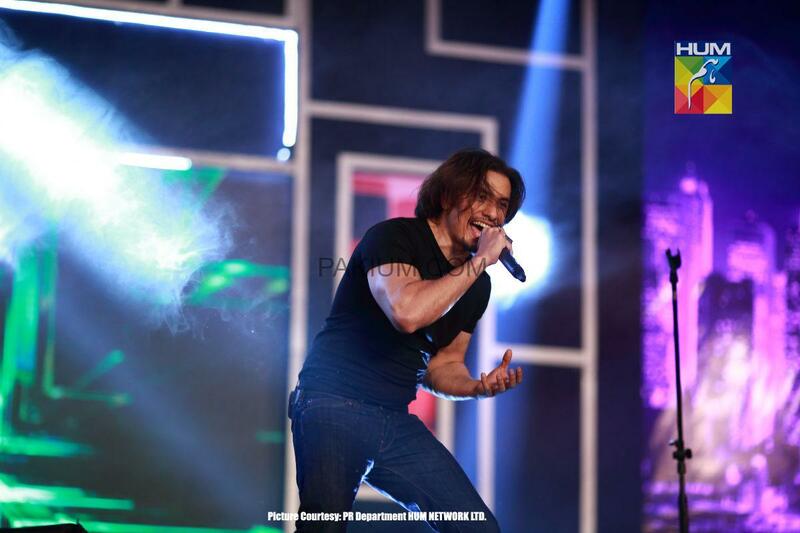 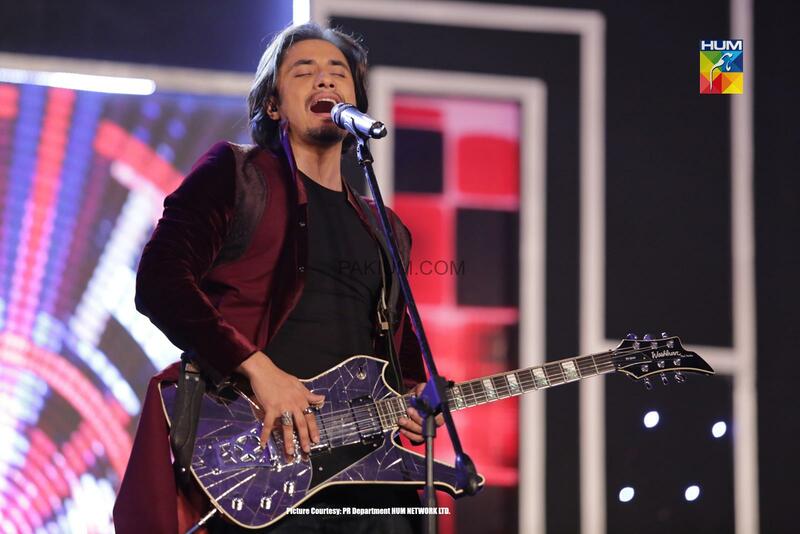 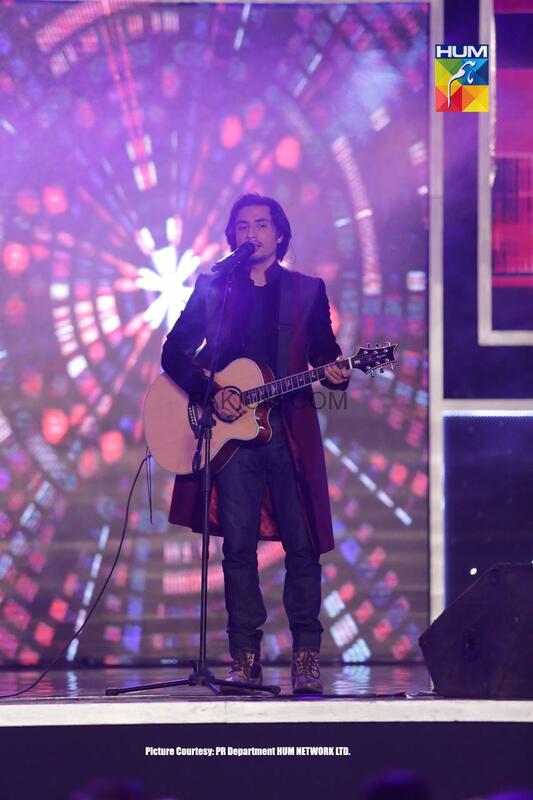 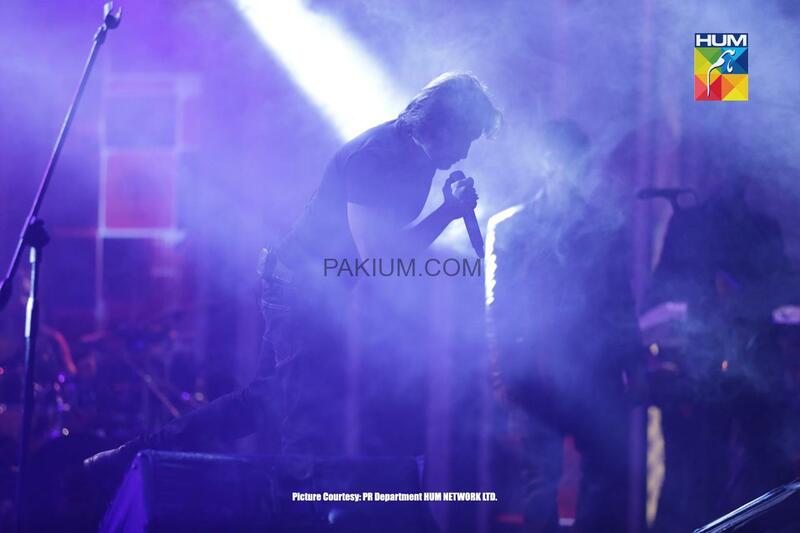 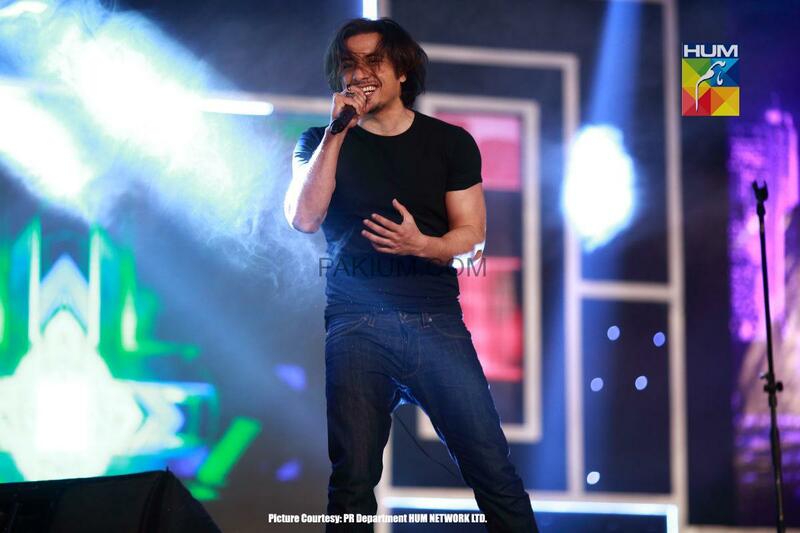 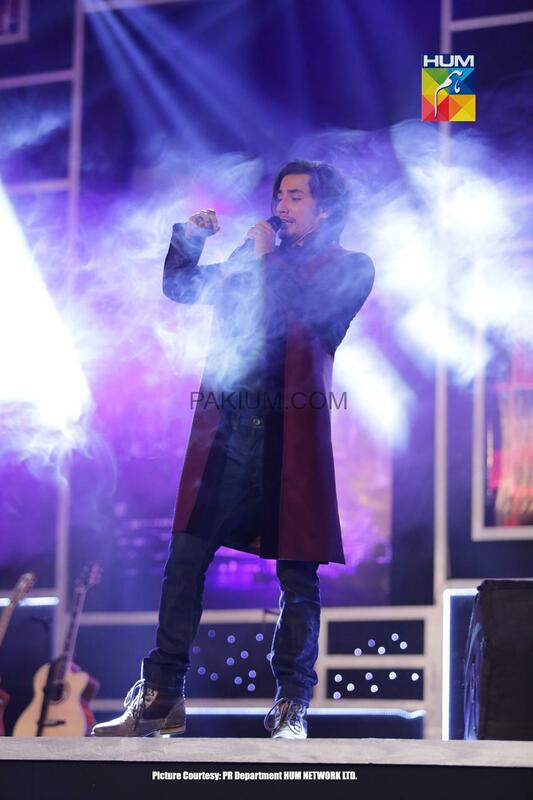 Performing live instead of on DAT, Ali Zafar opened the show with a medley of popular covers including Chal Dil Mere and Sohani rath dhal chuki. 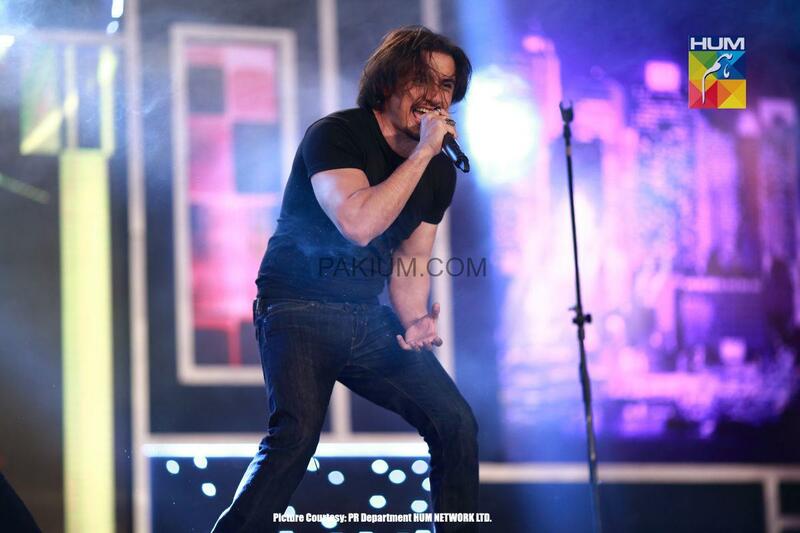 He followed it with a rendition of Teray bina lagay na mora jiya, giving it a unique twist. 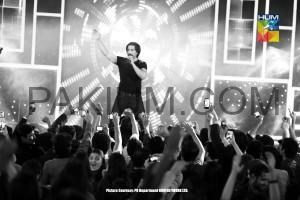 He had the audience swaying to his beats as he sang Dil jhoom jhoom. 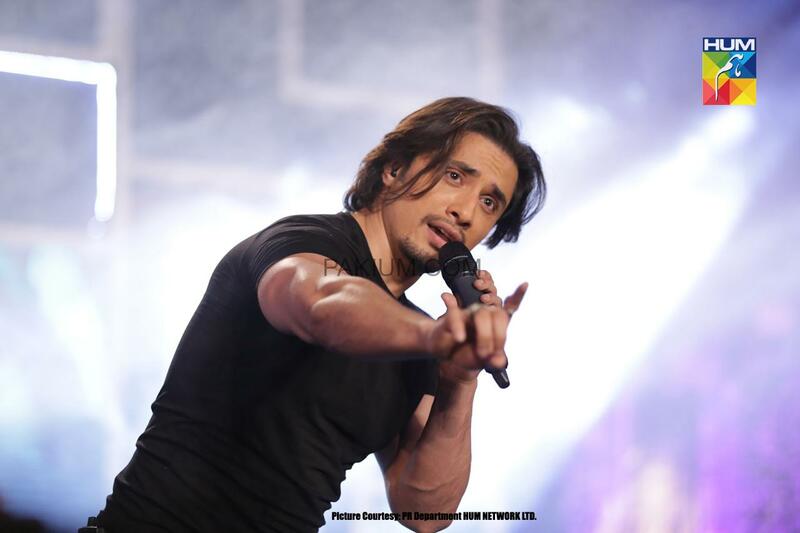 Full of playful fun he gave an operatic twist to his next number and followed it with Tum say hi hum ko pyar hai. 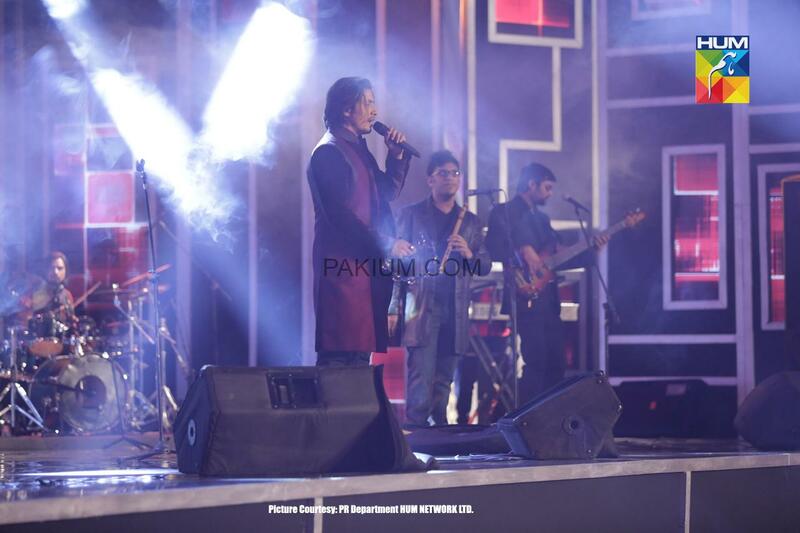 The youngsters in the audience went wild with his offering of No woman, no cry while the entire packed hall went ecstatic at his rendition of Zindagi Gulzar Hai, from HUM’s award-winning serial by the same name. 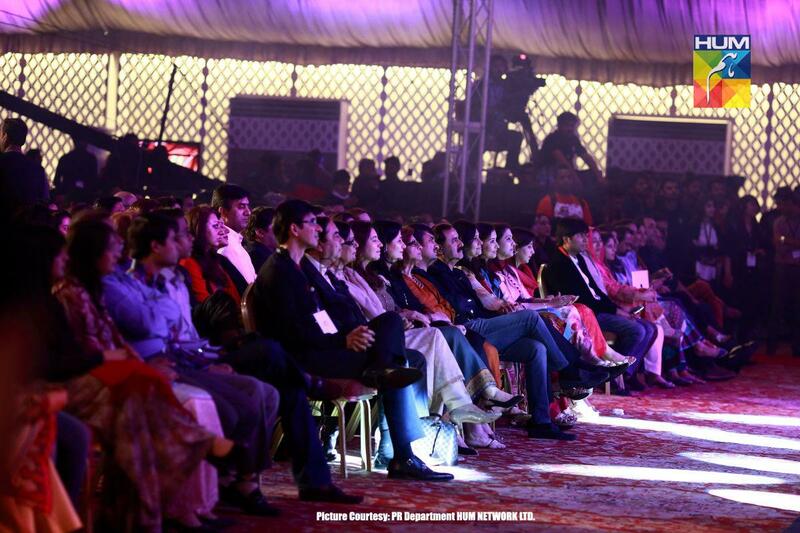 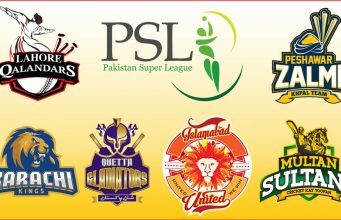 Next up was Hum bewafa hargis na thay and Aik seedhi sadhi larki before Zafar invited on sage Moammar Rana from the audience. 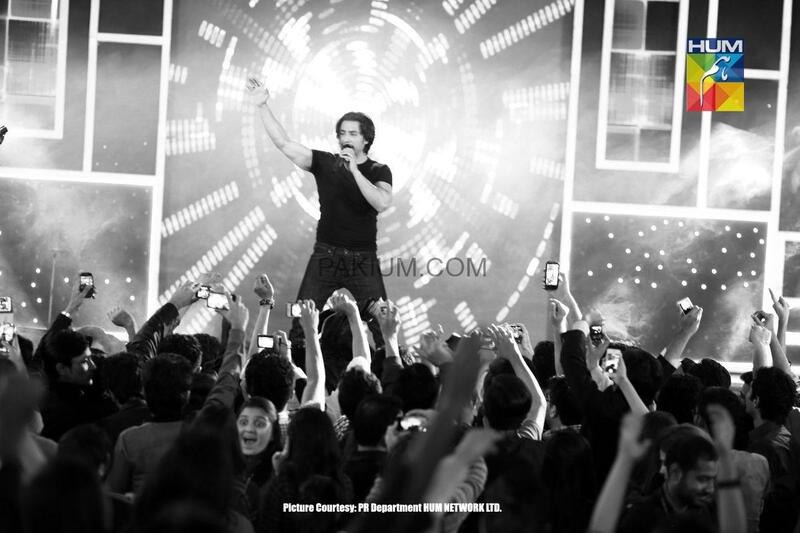 The latter had everyone amazed with his lithe and athletic performance for he easily jumped up and down the four-foot stage instead of taking the stairs. 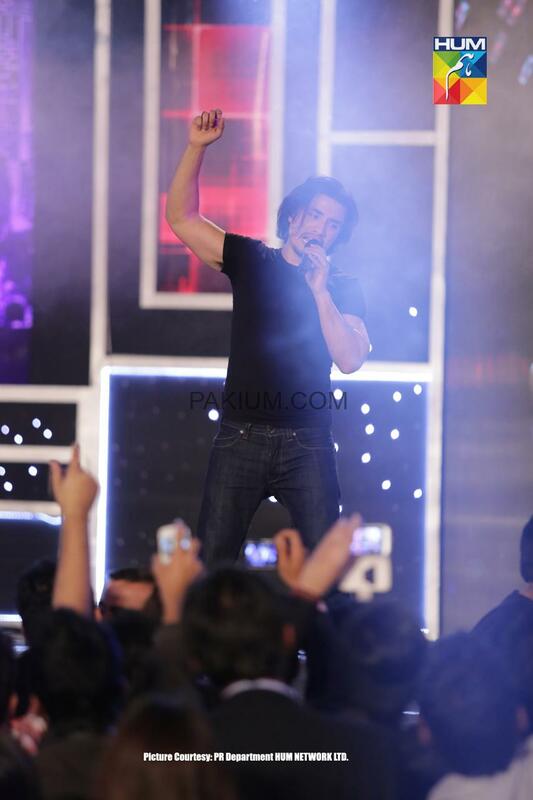 A light banter followed after which singer/actor Junaid was invited. 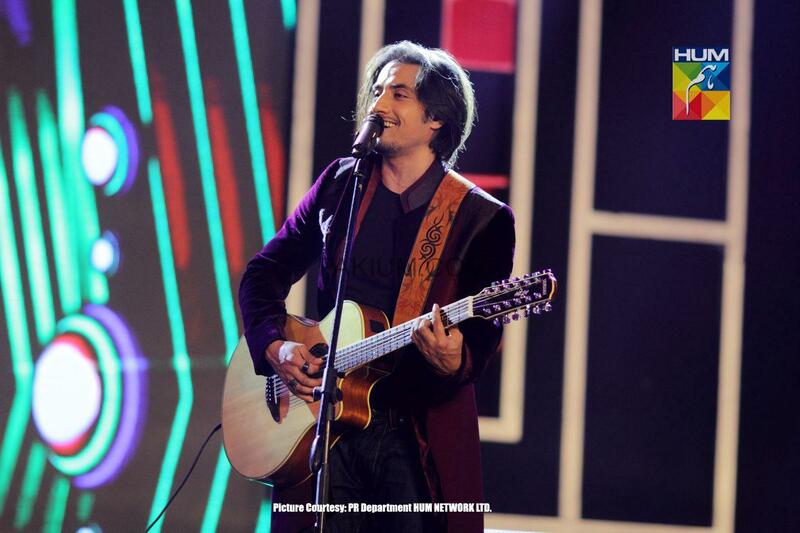 At Ali Zafar’s request, he sang his own number Sab bhula kay to which the former sang in accompaniment. 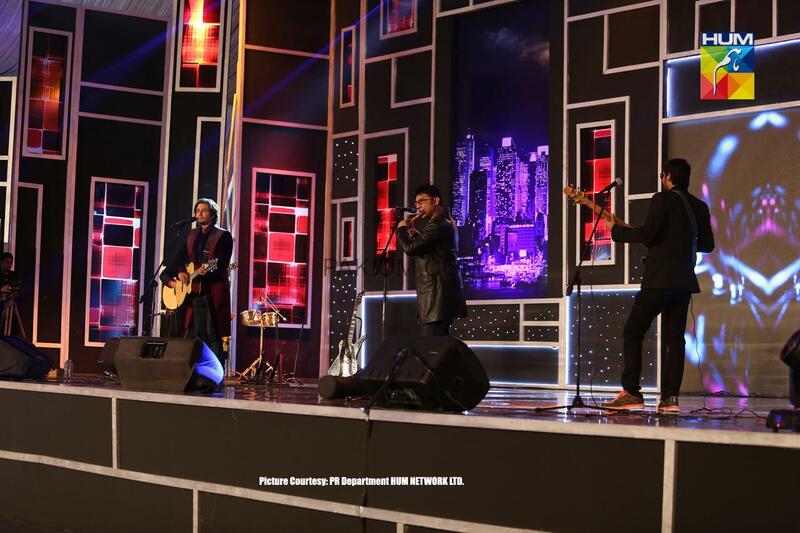 More treat was in store for the audience for Zafar then invited Faisal Qureshi and Sunita Marshall on stage to perform a little extract form a video Pritoo the three had done together 13 years ago. 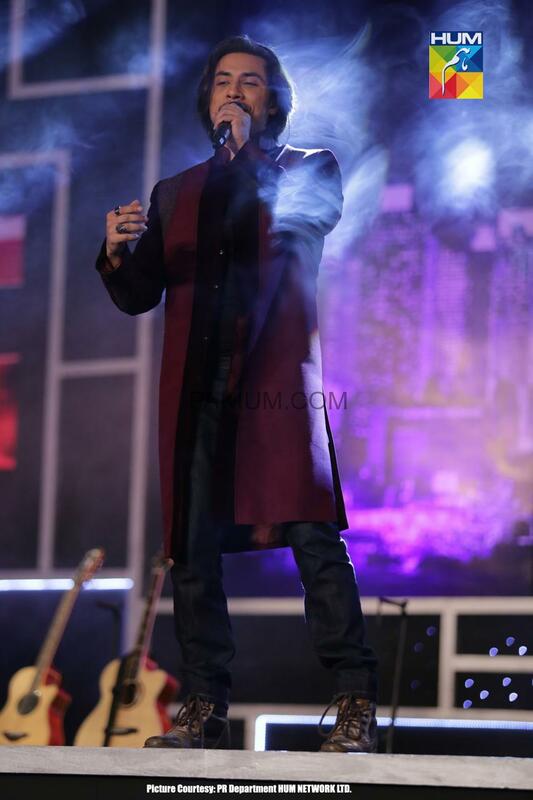 On great demand, he finally sang Channo and related how it transformed his entire life and brought him from a singer who used to sing ghazals at people’s houses for a paltry 20 to 30 grand, to where he is today. 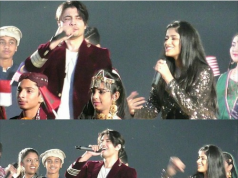 The young singer then invited everyone to dance to his Nachay ray nachay Madhubhalla to which all the youngsters in the audience obliged. 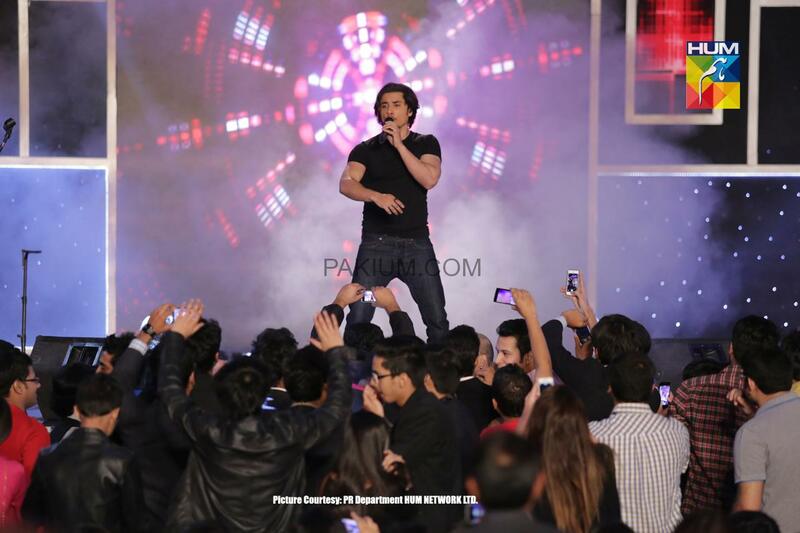 After a brief interval, Ali Zafar came back to perform, this time with even more enticing numbers and an energy-filled rendition. 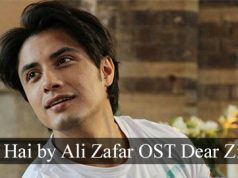 He began with Kal jo ho ga dekh lain gay, followed it with Dastan-e-Ishq, Masti, Dekha jab toh teri ankhon mein and Hukka pani. 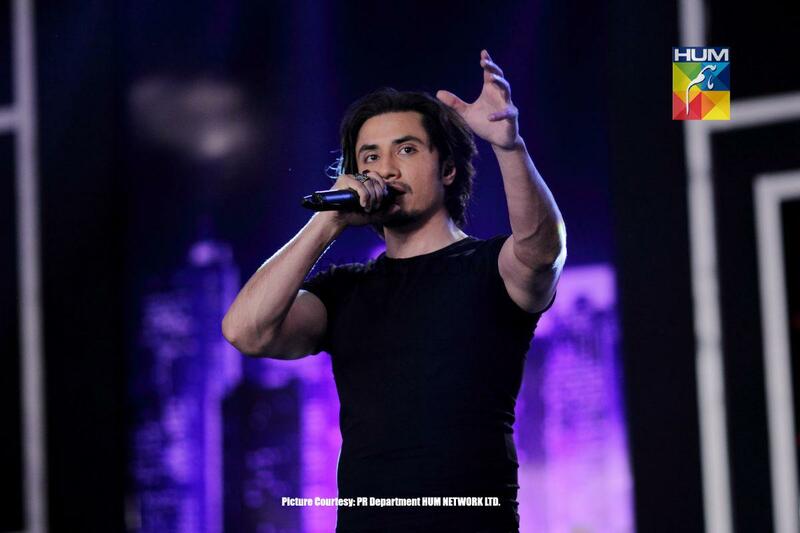 The last was perhaps the most amazing of his renditions for he displayed how singing the same lyrics in different styles and tempos can create different moods and feel to the same song. 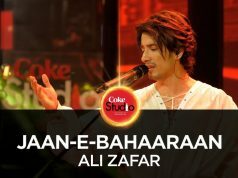 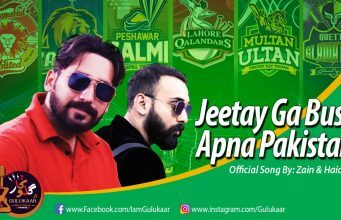 Thus he sang it the normal chirpy way, followed it with a romantic style, then a classic, metal rock followed by Pashtun and Punjabi styles. 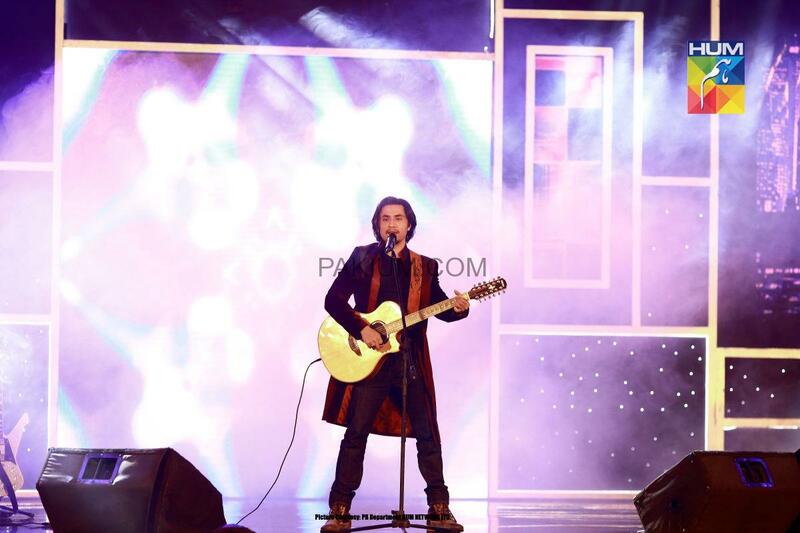 With that power-packed performance the evening came to an end.